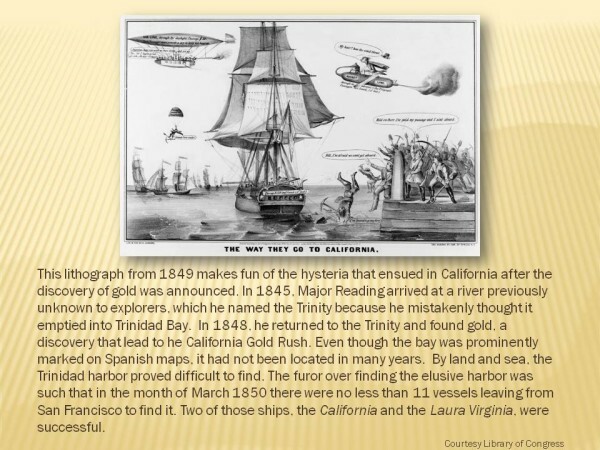 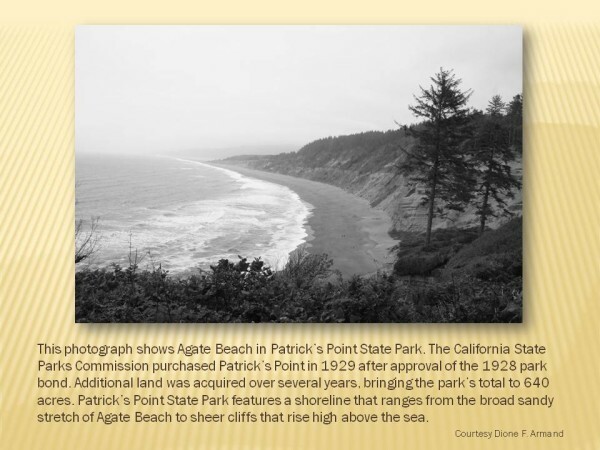 In Carl Meyer’s 1851 account of his time spent at Trinidad Bay, he writes, “It seemed as if a new harbor city had been called into being by the magic cry of gold.” His words speak to the growth that occurred throughout the northern half of California in response to the Gold Rush. 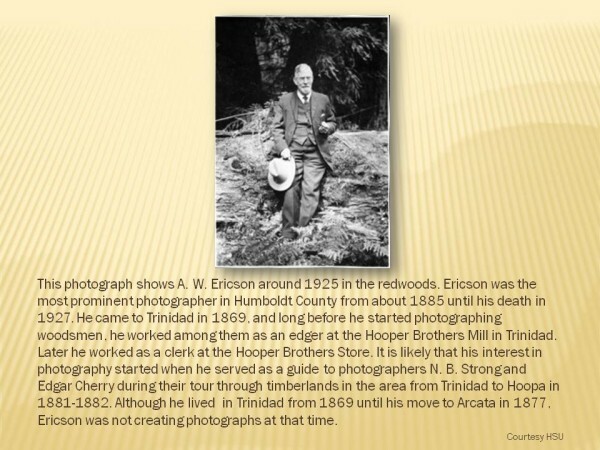 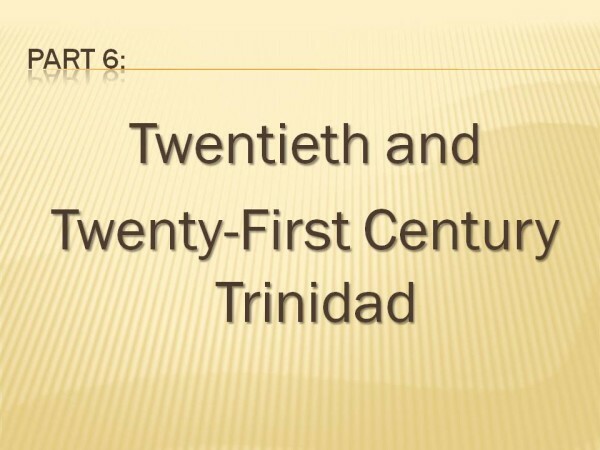 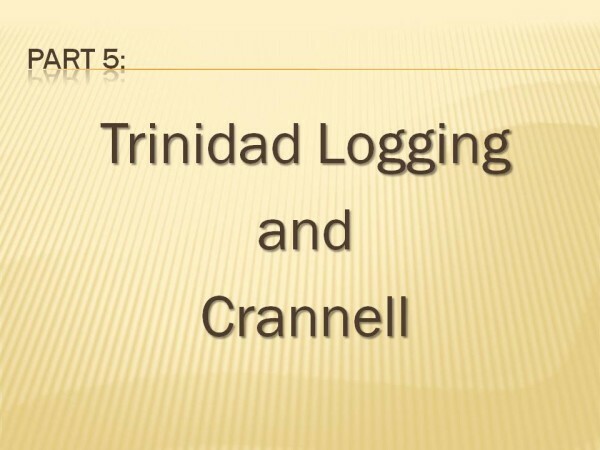 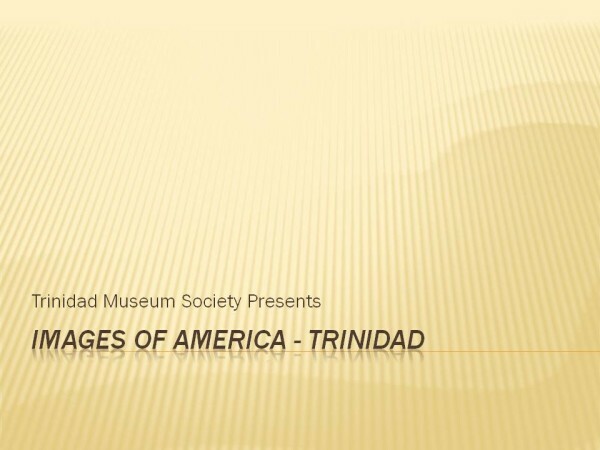 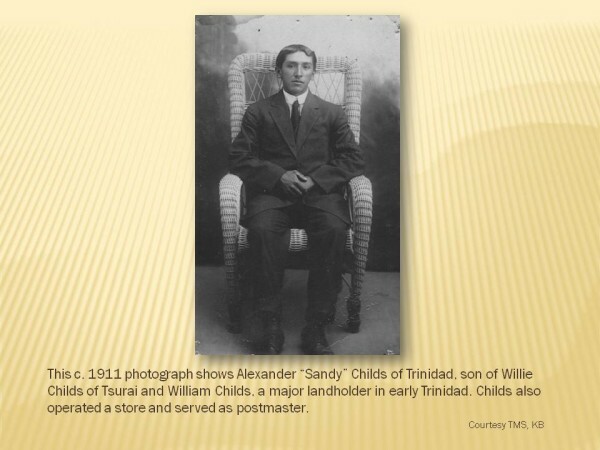 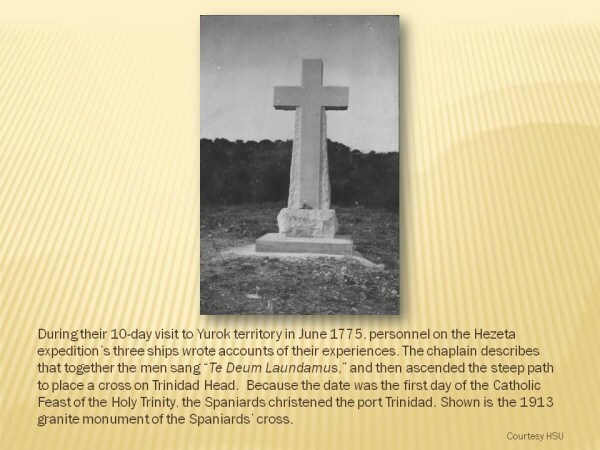 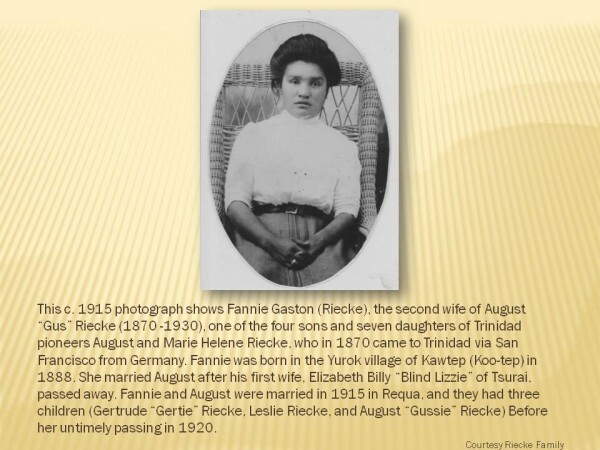 This new exhibit features a selection of images from over 200 vintage photographs included in the book and shows key moments from more than a century of Trinidad’s history. 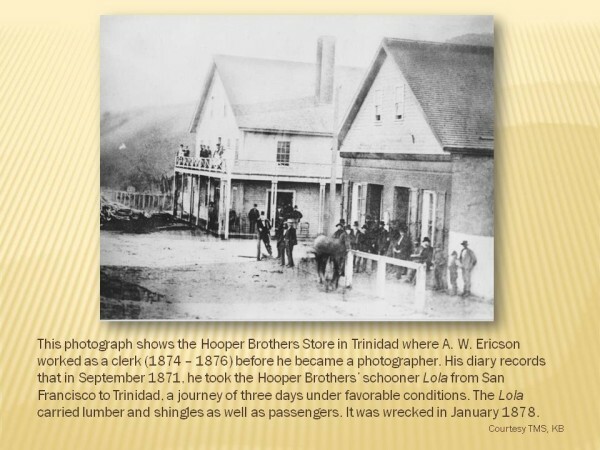 Starting with an 1849 lithograph depicting scores of eager gold miners heading north from San Francisco, rare images of early Trinidad show the town’s development. 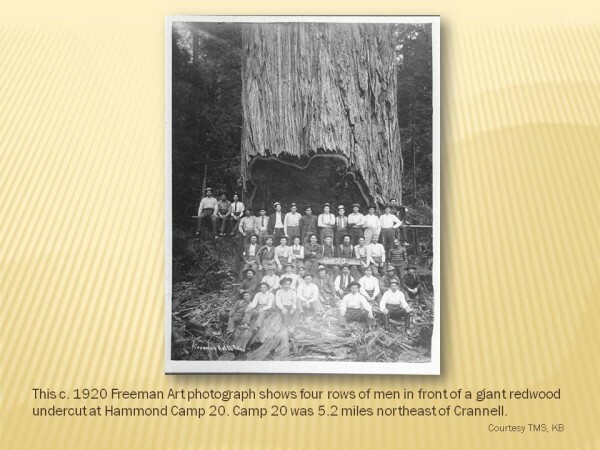 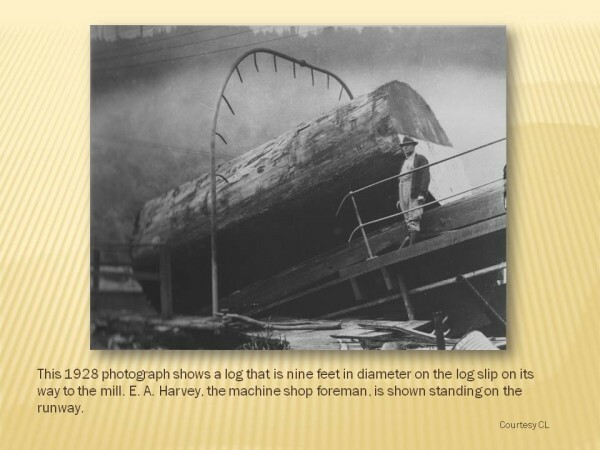 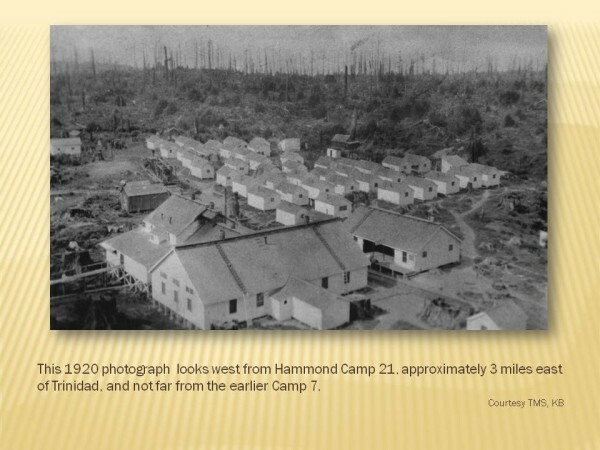 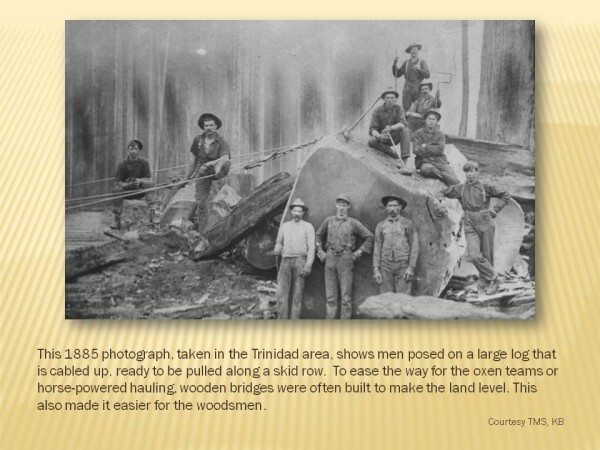 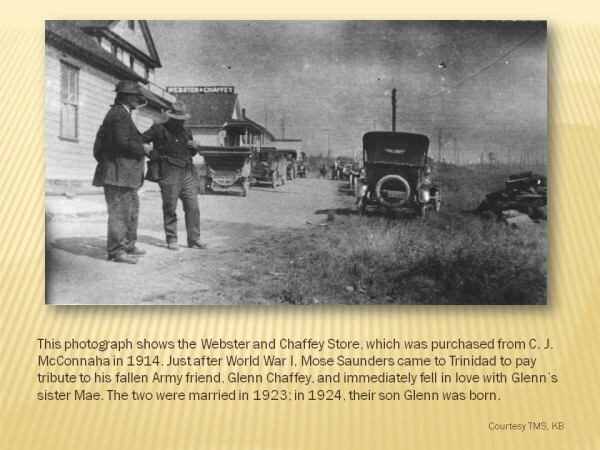 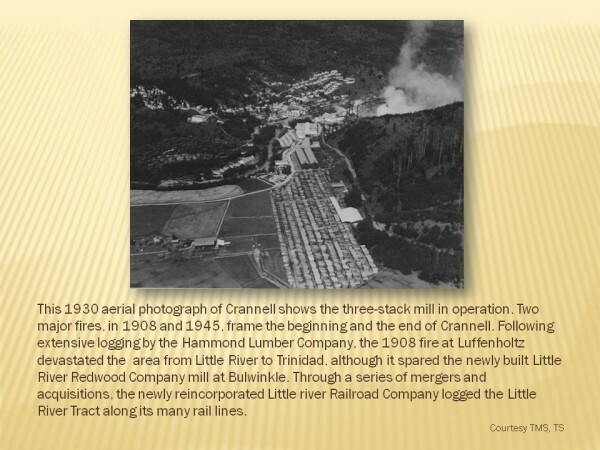 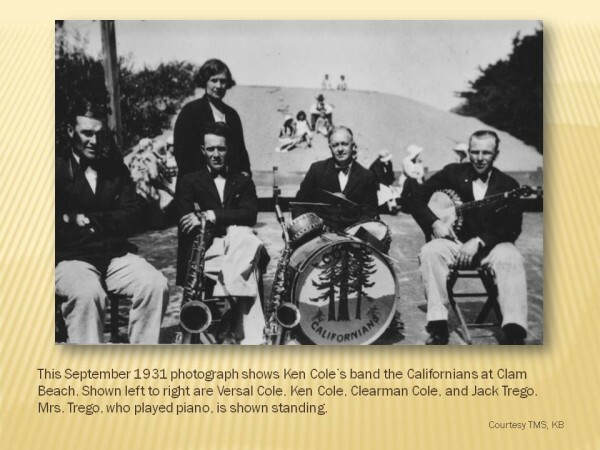 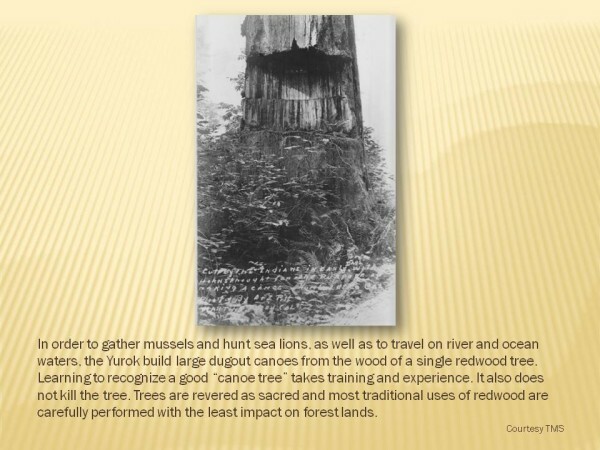 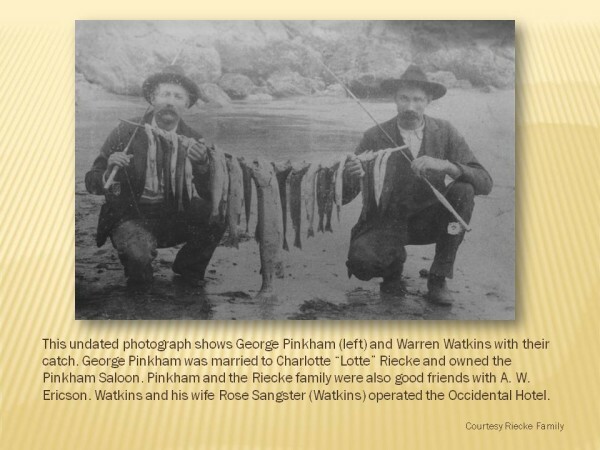 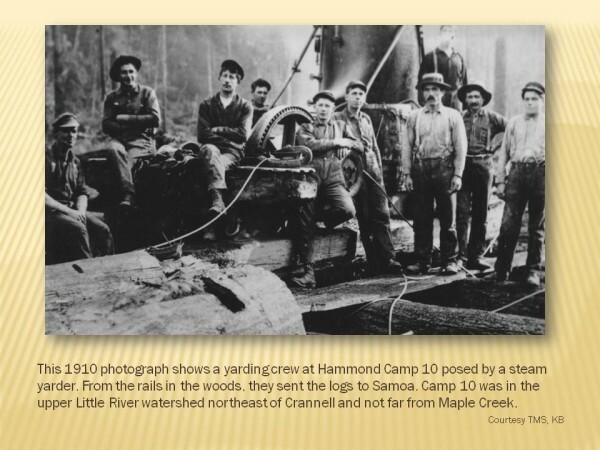 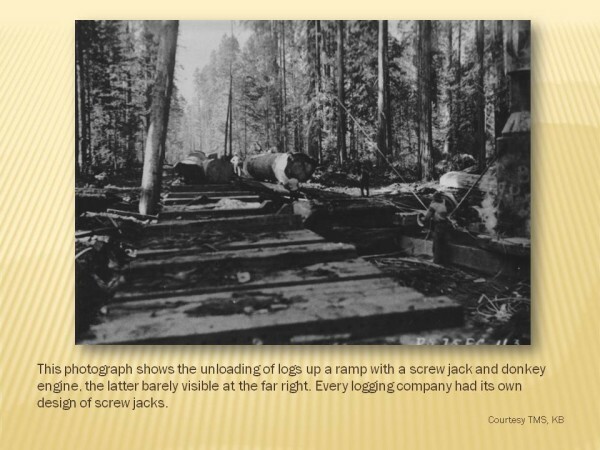 Crannell, the nearby company town of the Little River Redwood Company, had its earliest beginnings in Bulwinkle and its heyday during the years of 1923 – 1931. 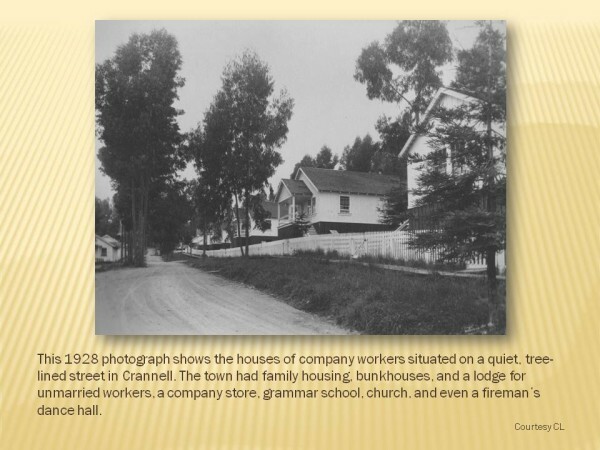 An early photograph of the ranch that became Crannell gives a vie into the bucolic paradise that was transformed into one of the region’s most successful end-to-end timber operations, employing hundreds of area workers and providing its 450 residents with homes on tree-lined streets. 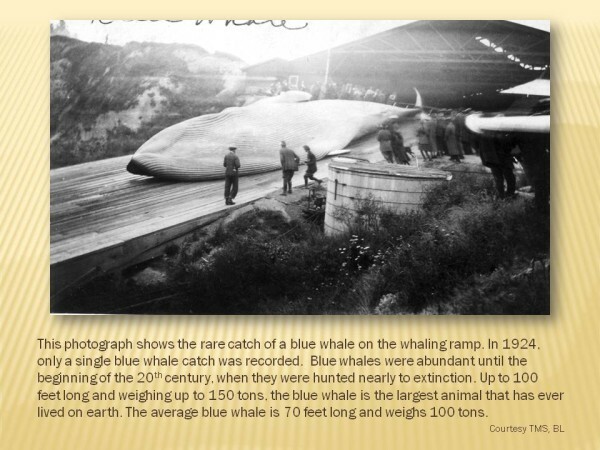 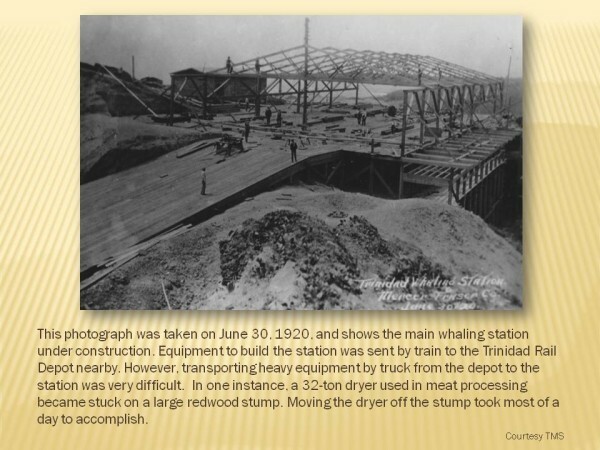 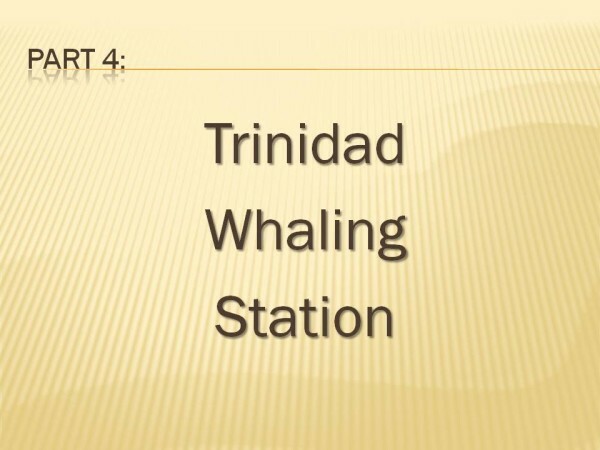 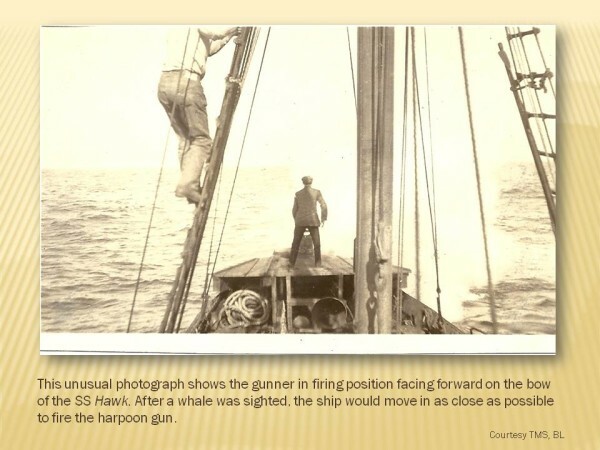 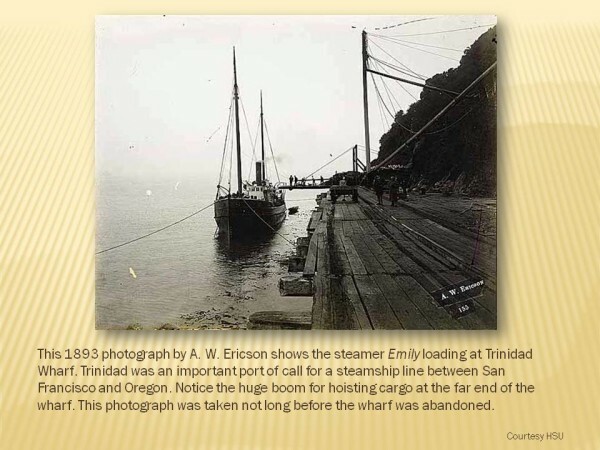 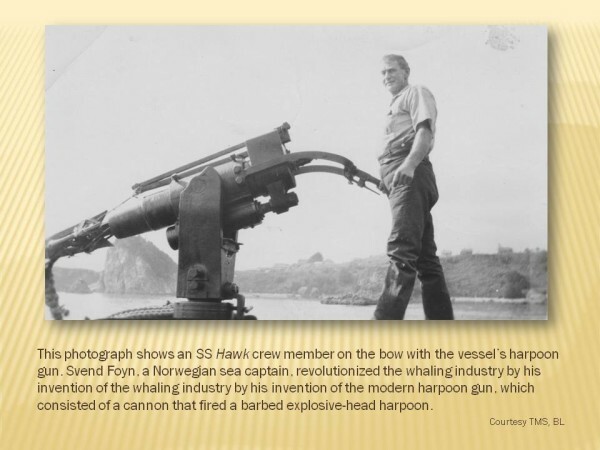 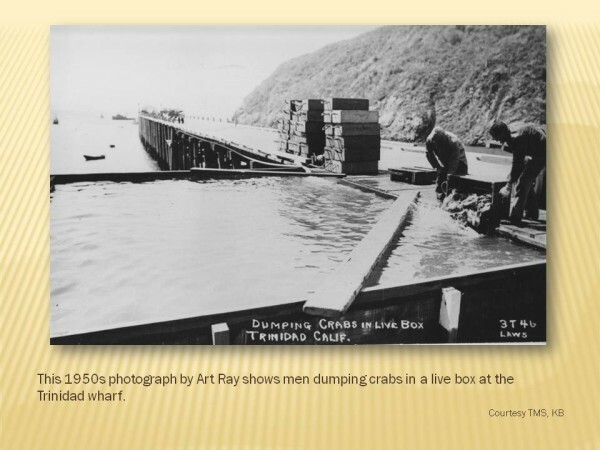 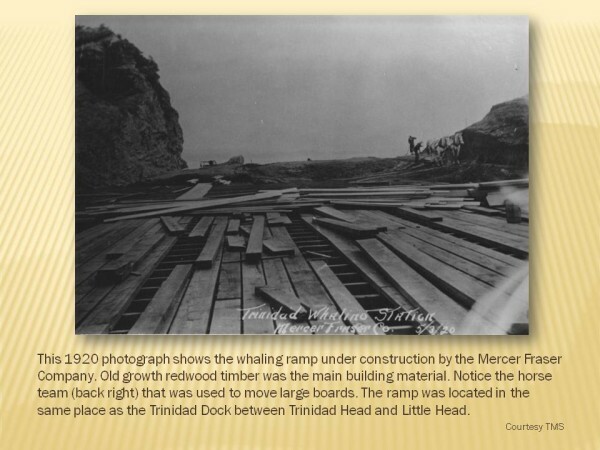 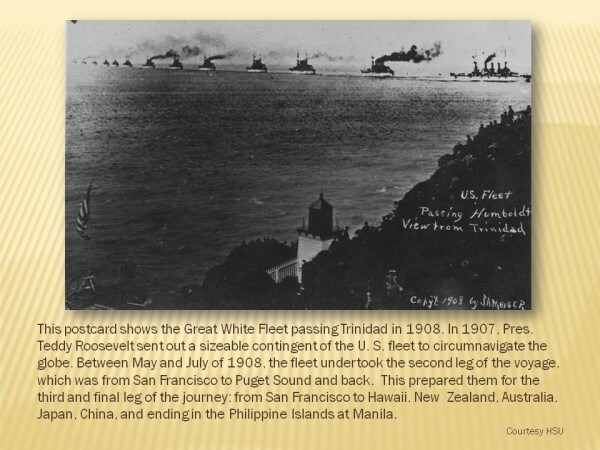 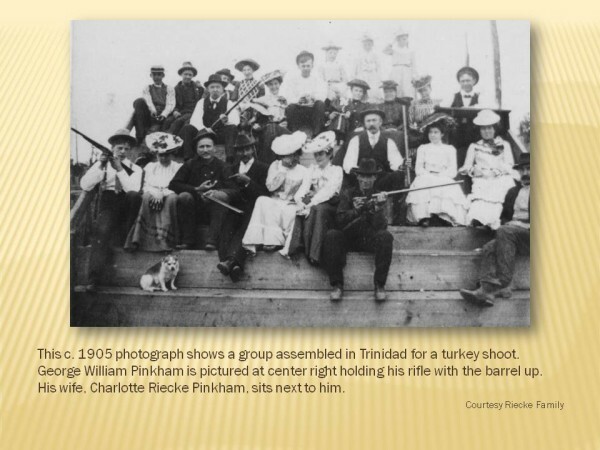 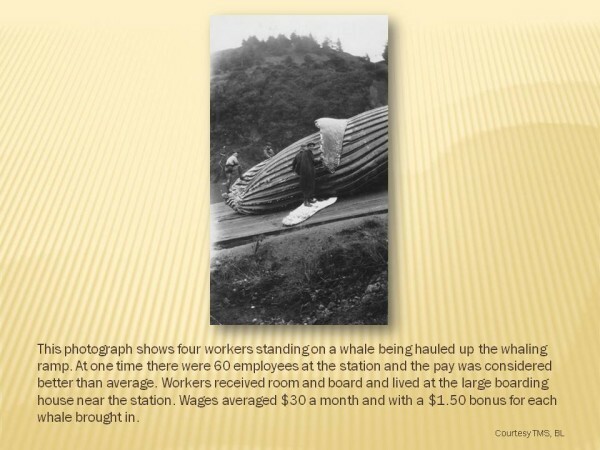 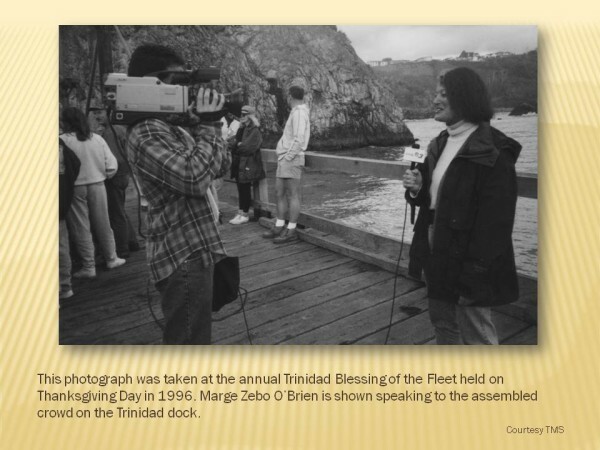 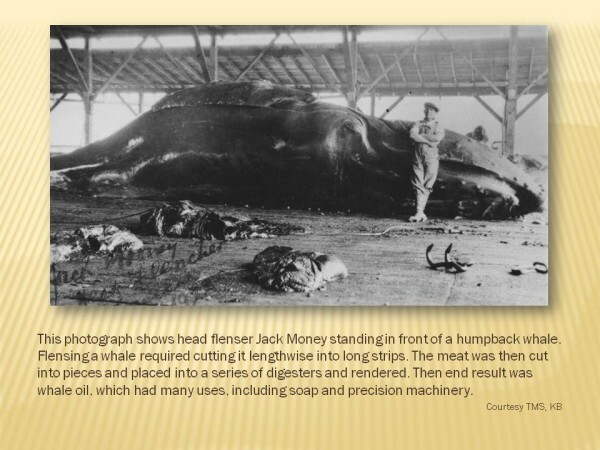 Rare photographs from the private collection of crewmen from the S.S. Hawk whaling vessel and the Katie Boyle Collection show the Trinidad Whaling Station (1920-1927), one of the last such stations to take part in commercial whaling on the West Coast. 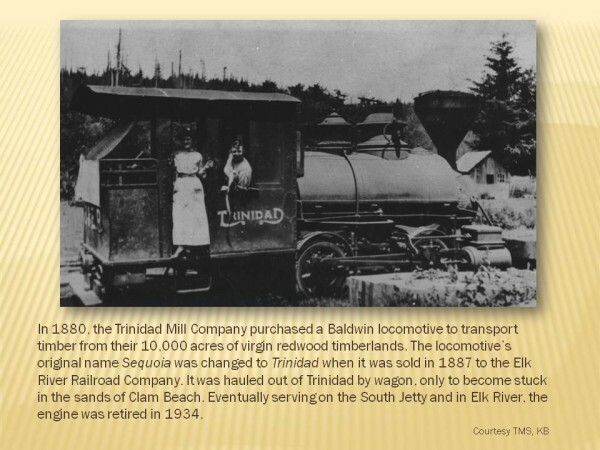 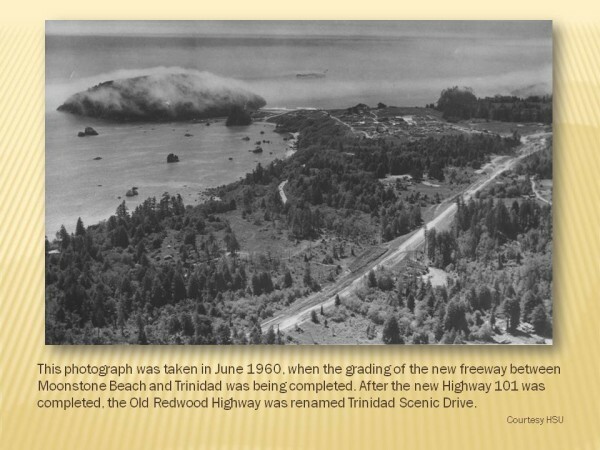 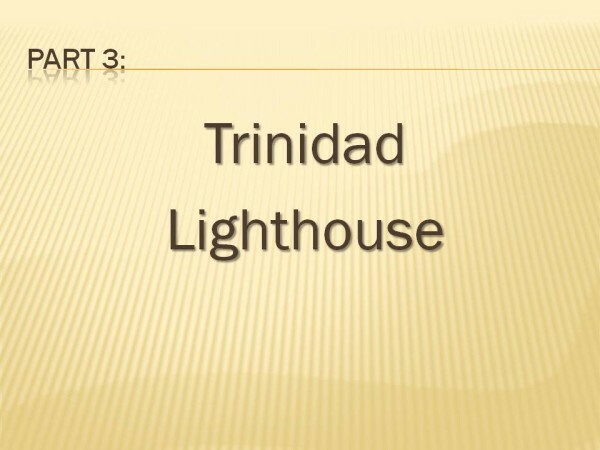 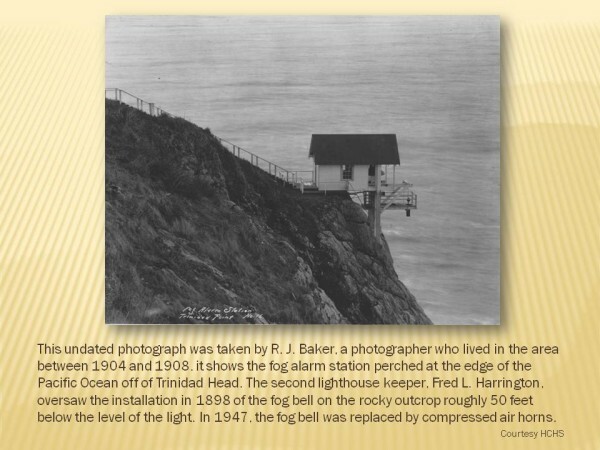 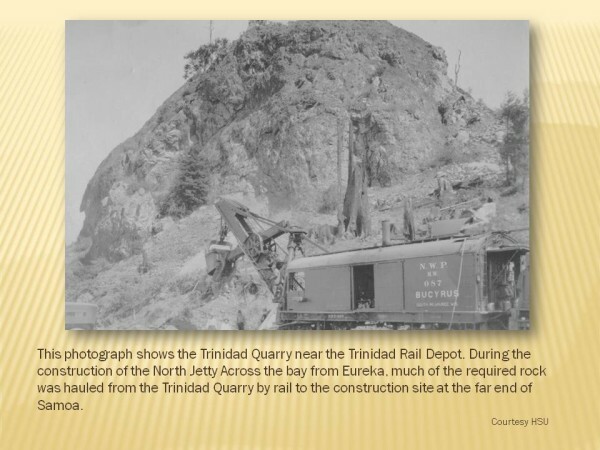 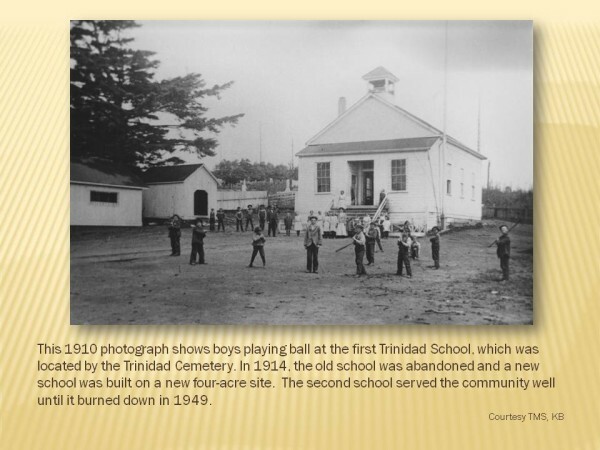 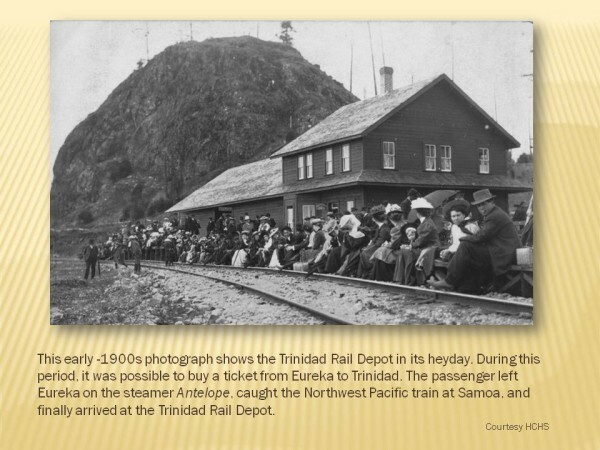 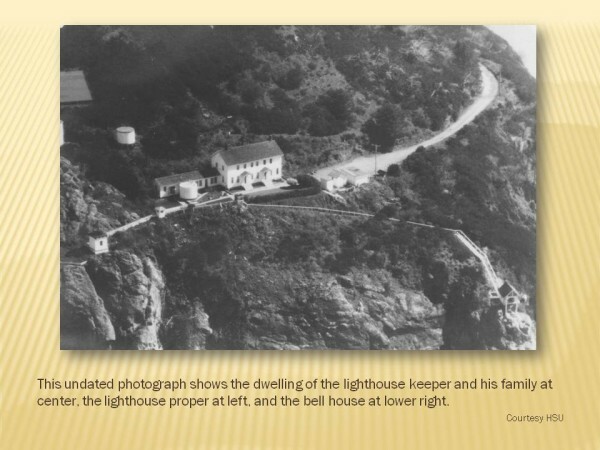 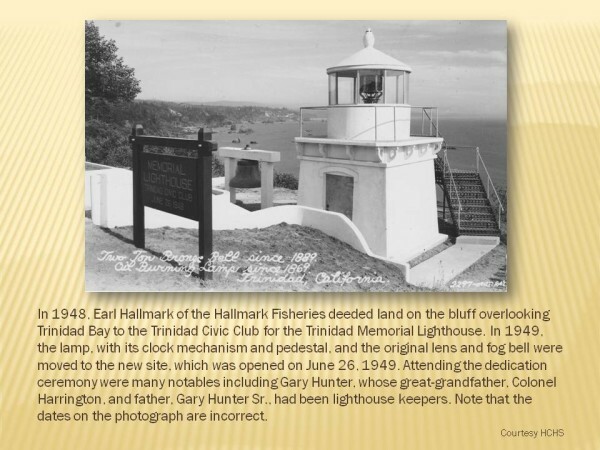 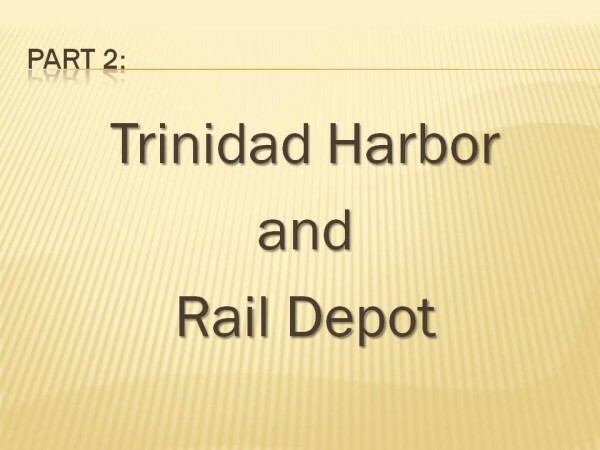 Images of the Trinidad Rail Depot and the Trinidad Head Lighthouse underscore Trinidad’s role as the north Humboldt County region’s rail and maritime hub. 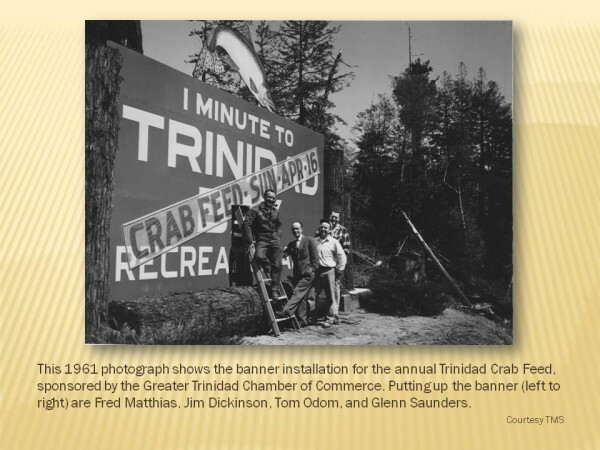 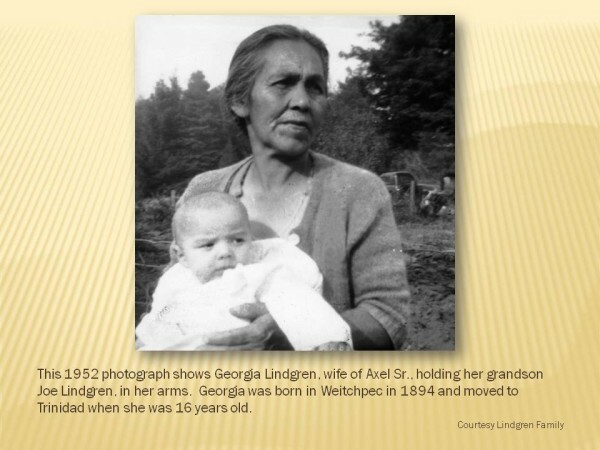 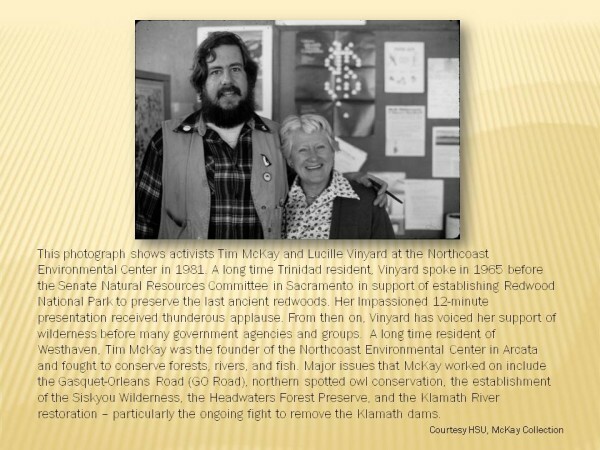 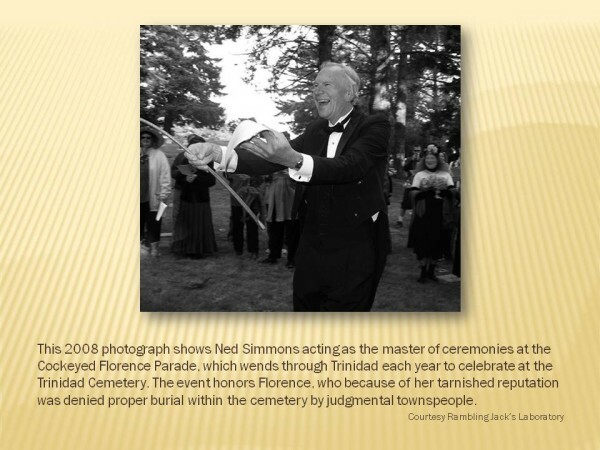 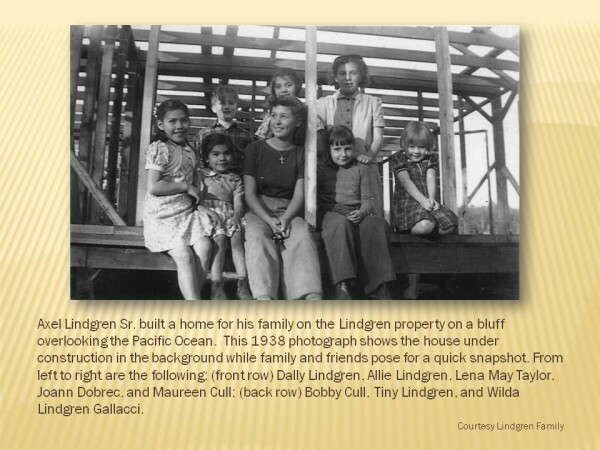 Contemporary images of local luminaries such as town historian Ned Simmons and activists Lucille Vinyard and Tim McKay complete the exhibit’s highlights. 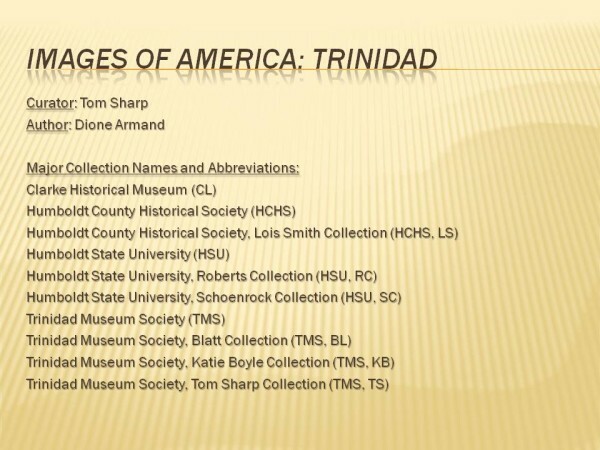 The photographs included in Images of America: Trinidad have never before been easily accessible to the public.